Starting today, players can try out the critically acclaimed FINAL FANTASY XIV®: A Realm Reborn™ online adventure for free. The 14-day free trial program allows new players an opportunity to join over 2 million adventurers worldwide who have already begun their journey throughout the realm of Eorzea®. 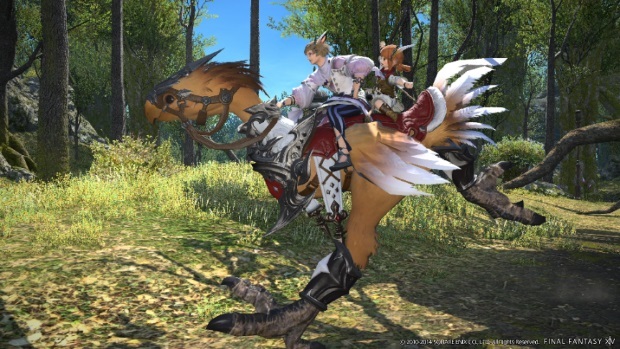 By downloading and installing the free trial software, which is available at www.ffxiv-freetrial.com, players can play for free for up to 14 days from account creation to a maximum level of twenty. Free trial players will have certain limitations on available in-game activities. More details are available on “The Lodestone,” the official FINAL FANTASY XIV: A Realm Reborn community page: http://na.finalfantasyxiv.com/lodestone/. The online game offers a wealth of playable content updates, including the recently released, Defenders of Eorzea, the Patch 2.3 update. It features Frontline, the three-faction PVP where up to 72 players can go head-to-head in direct combat; Chocobo® Raising, where players can train their favorite feathered companion to reach its full potential.